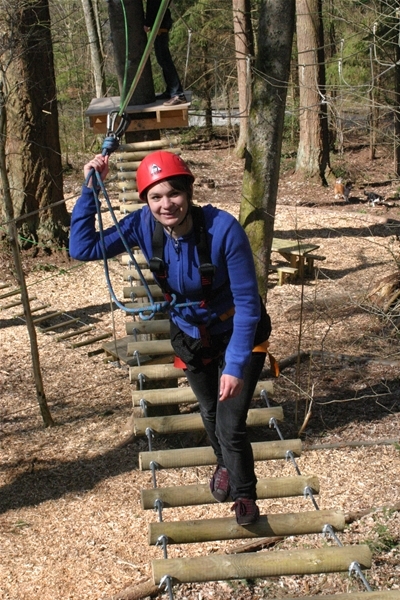 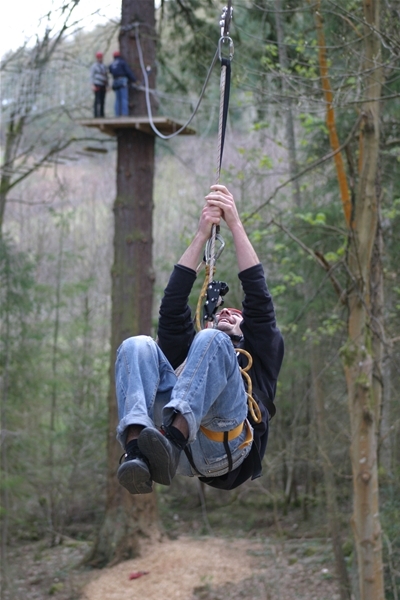 We operate the highest continuous ropes course in the UK!! 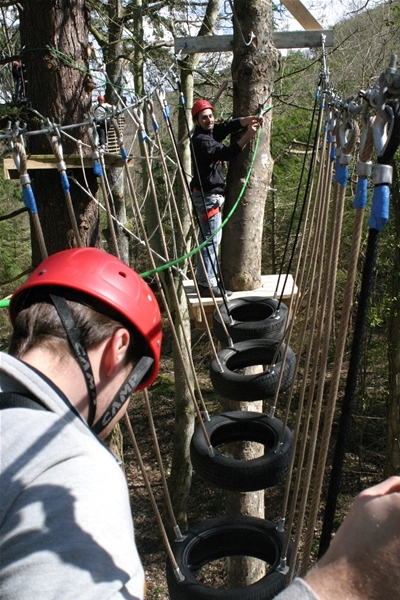 Our course starts 7m above the ground and traverses its way through the forest until it reaches its highest point 21m above the ground. 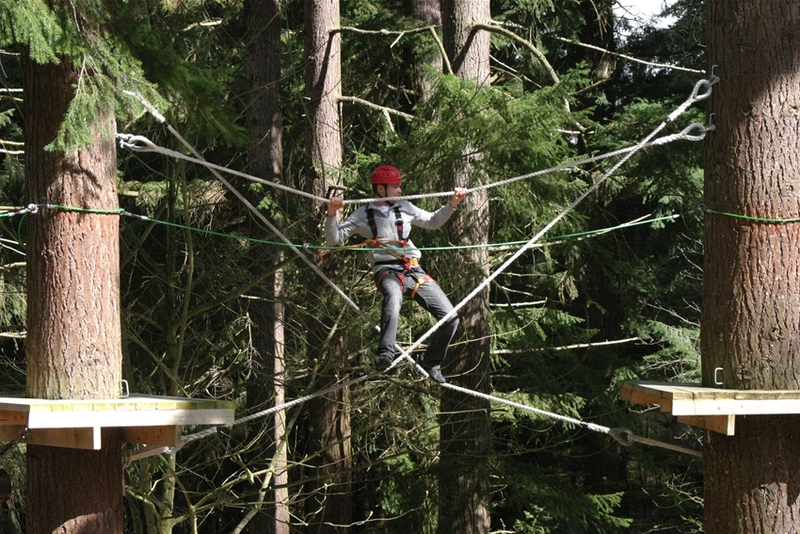 The ropes course is a classic cows tail course in which you are responsible for moving your own cows tails from one safety cable to the next.